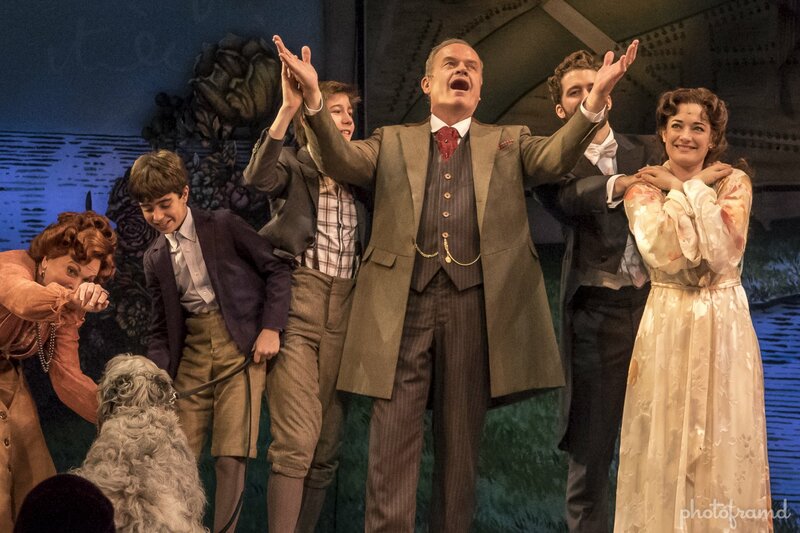 Finding Neverland strikes an interesting balance. Based on the Johnny Depp movie, we all know where the story is headed, but it still manages to surprise. 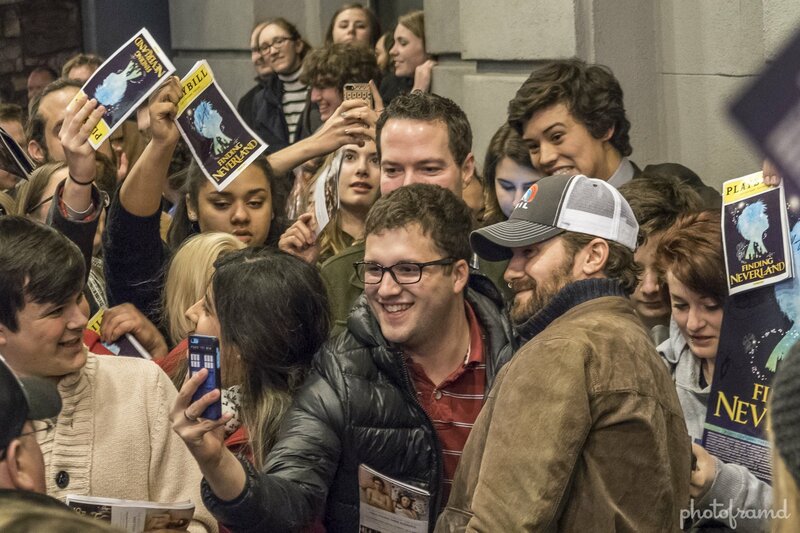 There is Broadway Magic but there is also magic. 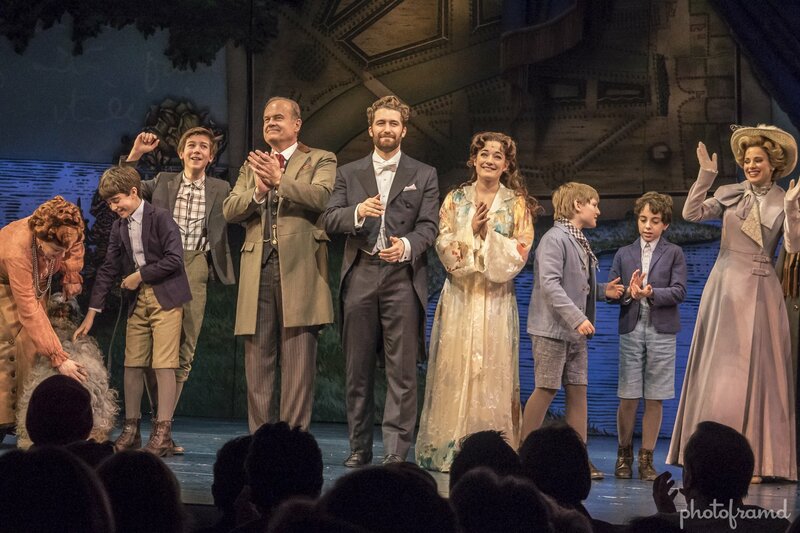 The musical even blurs the line towards the end when they recreate the famous bedroom scene in the actual bedroom of the kids that inspired the musical. It is very charming. I loved the glimpse at the behind-the-scenes production. It is a musical about putting on a musical after all. You get to see how they make Tinkerbell flutter … after being amazed at how they do it. They even build a pirate ship before your eyes during one of the best production numbers. 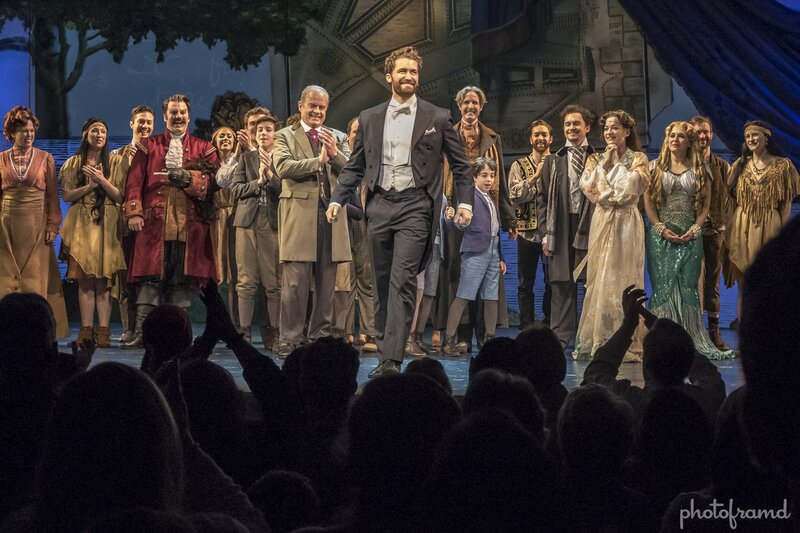 Matthew Morrison belongs on Broadway. He sings, dances and has charisma. He even manages an effective Scottish accent (which he loses in some of the more upbeat numbers …it is previews). He just needs a stronger role. He moves from playing Nice Guy Mr. Shue on Glee to Nice Guy J.M. Barrie. And, Barrie is nice. He plays fill-in father to a widow and her four sons. And yes, one of them is named Peter. Ultimately, this relationship becomes the material for Peter Pan. 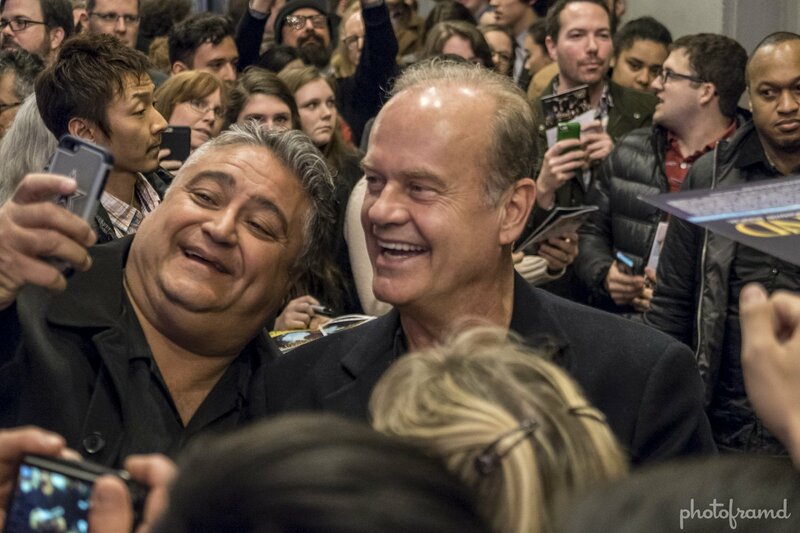 Morrison may be the headliner but Kelsey Grammer manages to steal each scene with just a smirk. Grammer plays Charles Frohman, Barrie’s friend and American financial backer. But, put him in a Captain Hook costume and the audience roared! Why has it taken so long to get Grammer back on Broadway?? There were even a few allusions to Frasier. 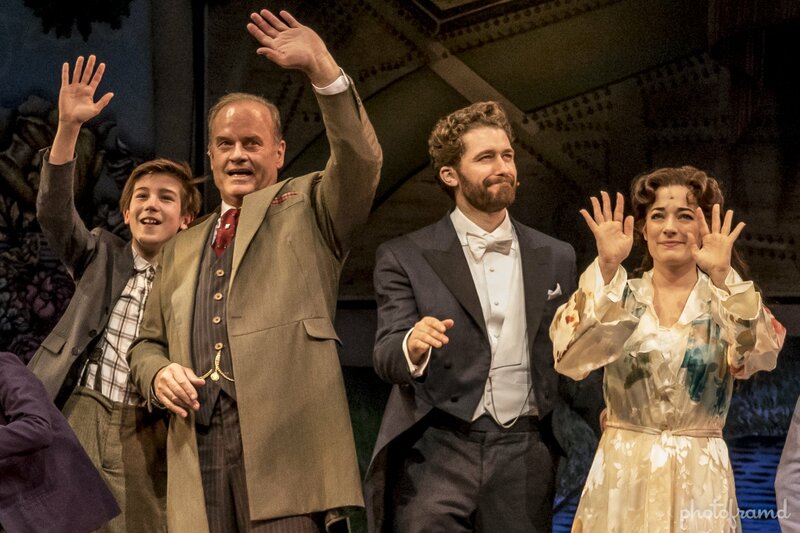 Finding Neverland at the Lunt-Fontanne Theatre may still be in previews but it very polished. Having a successful run in Boston definitely shows. So does having Harvey Weinstein as a backer. The production is slick without being overproduced. There are several big production numbers. In fact, I lost count. But, the material is good and the songs are memorable.